My daughter was the exact right age to dress up in a Maggie Simpson costume this year. I created her dress by placing one of my old blue long sleeved shirts on a flat surface and tracing one of her long sleeved outfits over it so I could get the right fit. Then I cut around the edges and sewed it. I made sure it was long and covered her feet since Maggie Simpson always falls when she tries to walk. The hair is a headband with yellow triangles glued to it and a blue bow I made with extra ribbon. Her pacifier has red foamies glued to it to make it look just like Maggie Simpson. 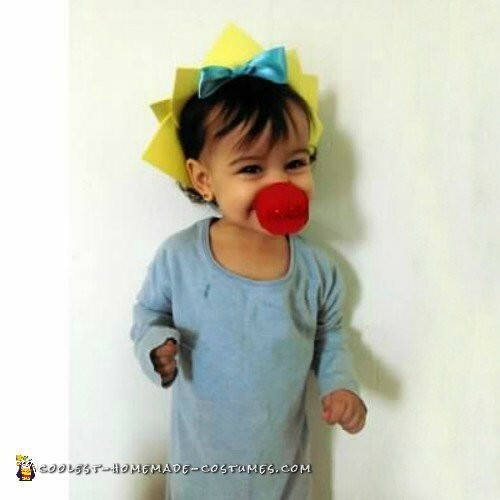 People liked that I had created an easy costume for my baby that did not cost anything or make her uncomfortable. 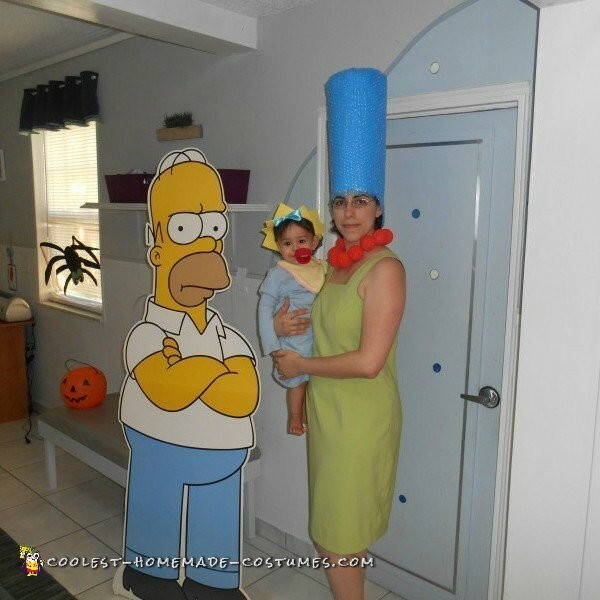 I also dressed up as Marge so carrying Maggie made sense and people thought that was super cute.